Whether you are moving to the Netherlands or leaving it for a new destination, it is always helpful to follow a step-by-step expat relocation list to ensure your transition overseas goes as smooth as possible. Whether it is your first time relocating or you have already moved overseas multiple times, it is always good to have an expat relocation checklist. 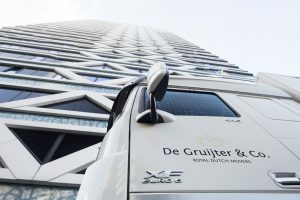 International removal company Royal De Gruijter & Co. has put together helpful tips for you to follow when moving to The Netherlands or leaving the country. Requirements can differ per destination country but this list will give you a general idea of things you should arrange before the removal and moving overseas. Make sure that you have a valid drivers license for The Netherlands or your new destination country. If you are taking your car or a motorcycle with you, check if you need an international driving licence. Collect relevant documents namely: your working permit, employment contract, original copies of diplomas, certificates, degrees and accurate translations. To prevent any information from getting lost, make copies and ship those separate from the originals. Gather your medical files from your family doctor, dentist or any specialists. If you are taking your pets with you, get copies of all health and vaccination certificates from your veterinarian. If you have kids, make sure you have a statement from the principal of your children’s school concerning their grades, any applicable academic results and the type of education they have received. Ensure that your personal, medical and automotive insurance is valid in your new destination and compile these documents. Finally, put aside all these items as they should not be included in the move. Get the packing process started as soon as possible. First assess your closets and get rid of clothing that don’t fit or you no longer want. When the closets are done, start to look at items room by room. Make a room by room packing schedule and get going! Begin by packing items that aren’t used frequently. Seasonal items, rarely used gadgets and items stored in the attic or basement. Get a box-labeling system in place. Numbered boxes, colour-coding by room, and a master list with inventory are key elements. Use original boxes from an intentional moving company and ensure cartons are packed tightly ensuring there is no movement inside. Make sure all valuable items of jewellery or personal belongings that you want to bring with you are packed carefully. Dispose dangerous goods like oil, bleach, paint, flammables, lamp oil, gas cans and toxic chemicals etc. Dispose perishable foods or open bottles. Check the import regulations applicable to your country of destination on the latest rules regarding food and alcoholic beverages. When packing, we recommend that plates, dishes etc. be packed on their sides as opposed to flat as this minimizes breakages during transportation. If you have more than one shipment for example — air and sea or sea and storage — it is very helpful if you can sort out the different items in advance. The larger items can be labelled with a sticker saying ‘air/sea/storage/not going’. For smaller items that are to be packed in boxes it is helpful when they are separated from each other in such a way that a mix up can be avoided. If you are taking fitted carpets or other floor coverings with you, please ensure they have been unfastened before the packers arrive. Lamps should be taken off the ceiling before the removal unless they need special care by our removal crew. Fixed wall decorations should bet taken off beforehand. Do not forget to turn these off on time. A safe margin is 48 hours in advance. In order to prevent mildew, please make sure that both the inside and outside are cleaned and dried thoroughly. Do not forget the filters and treat the rubber parts and hose with talcum powder to avoid drying up. If you still have the original boxes for your equipment, it is advisable to use these again. For computer equipment and television please follow the instructions in the manual about transportation. We recommend that you disconnect all equipment yourself before the removal and label the cords so reconnection at destination will be easy. Bicycles, garden equipment, barbecue, flower pots, golf sets etc. The above items are of interest in quarantine inspections. Please make sure that they are cleaned thoroughly so that all soil and other dirt are removed. This is to prevent problems at your new destination. 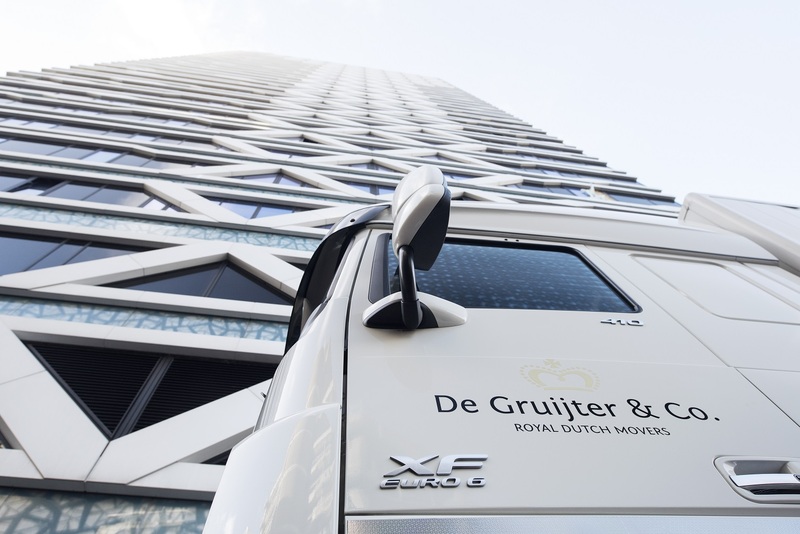 About Royal De Gruijter & Co.
Royal De Gruijter & Co. is the pre-eminent specialist when moving overseas for private and corporate relocations. Our staff provide expat relocation services with great pride and dedication. 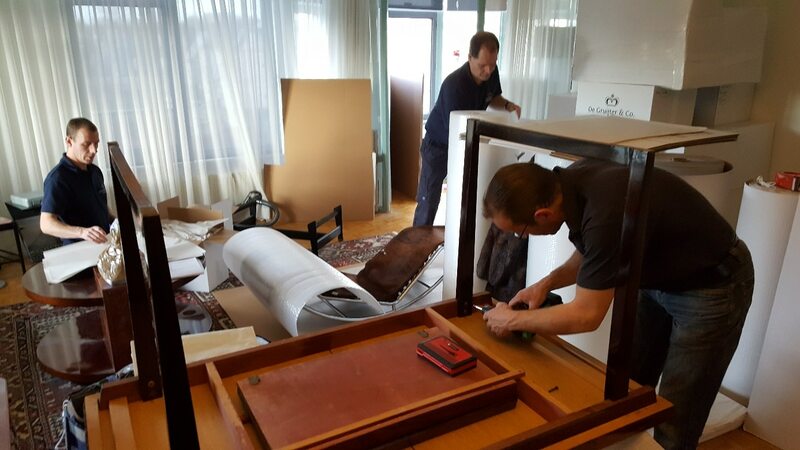 The expat relocation services we offer is for those who require specialist expertise, focus and dedication and who can accordingly can appreciate these qualities. We are a specialist in full service removals. If you have any questions please contact Royal De Gruijter & Co.; or request for a free and no obligations price indication.